What happens when America goes to war? Fighting a war nobody wants or believes in. A war where everyone wants to kill you. Welcome to the Sand Castle that Iraq became. This is what is was like on the front line. An honest & candid account of what happened in 2003 as seen by a group of American soldiers. 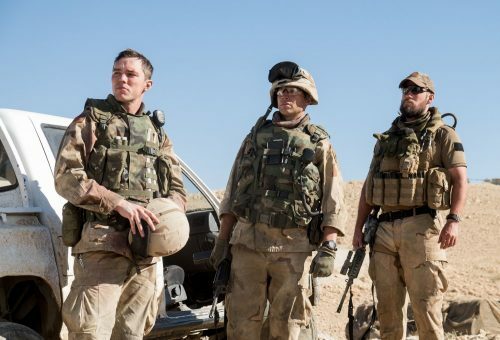 Set in Iraq in 2003, Sand Castle follows a group of American soldiers in the early days of the second Gulf War. Bearing witness to the heat and the horror is the inexperienced Private Matt Ocre, who together with several fellow soldiers is ordered to the outskirts of Baqubah to repair a water pumping station damaged by U.S. bombs. But as Ocre discovers, in an atmosphere where resentment and anger fester, trying to win the hearts and minds of the locals is a task fraught with danger. It’s here, in the streets, squares and schools that he discovers the true cost of war.